I can still see the woman’s face as she said the words to me. My dander rose a little when she said that. I thought, That day will never come. It nearly came last night. Ten days ago I took a trip with two of my children. Something changed with my father in the week that I was away. He started fearing certain doorways and needing certain doors to be closed. He started refusing to go down hallways in the house where he has lived for 50 years. “You don’t understand, Sally,” he’ll say to me, gripping my arm and pulling me close to hear his words. “You don’t want to go there.” He’s emphatic. His words have an urgency evidenced by his tight grip as he says them. Last night he turned off the baseball game and headed to the dining room, announcing that he was going to bed. “Where are you going to sleep?” I asked. “Here,” he said, and he pointed to his heart. “Will you walk with me to your bedroom?” I asked, slipping my arm under his to support and guide him at the same time. After a bit of coaxing, loud arguing, pleading, and everything else I could think of, Bud and I, one on either side of him, forced him to take the steps he clearly didn’t want to take. Once he saw his room and his bed, he was fine (more or less). For a few minutes, though, it was ugly. I lay in bed afterwards feeling discouraged and thinking, What would Penelope Lumley do? 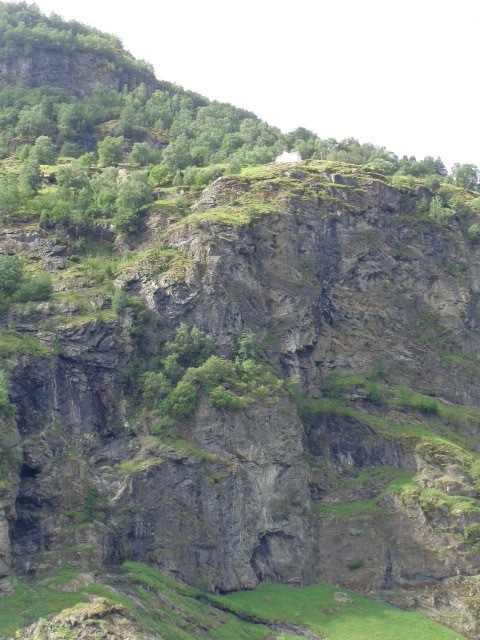 In Norway (that’s where I went on my trip) we saw a house set up high overlooking a fjord. Our guide told us that it has no road access. The old farmhouse had fallen into disrepair until a couple bought it and turned it into successful guest accommodations. Visitors arrive by boat at the base. They climb ladders and hike steep trails with switchbacks to reach Stigen Gard. It takes over an hour to make the ascent. Some would have said the rundown farmhouse was hopeless, but no hopeless case is truly without hope. The view at the bottom was beautiful. I’m sure the view at the top is even better. I just have to figure out how to do it. I actually do believe Penelope Lumley. I do believe you can if you will. 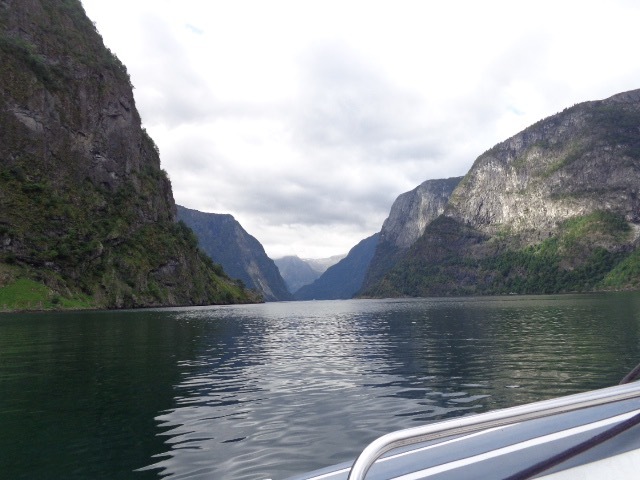 But the fjords and mountains and ravines and crevasses that you have to traverse are not mapped out anywhere. That is the hardest part. The not knowing what the path actually is. You do have the strength. You do have the resolve. You do have the equipment. It’s just not knowing quite what or when you will need things that are the real test. I send you love, I send you strength, I send you smiles and hugs from a friend. It’s all I have. All I can say is that if the time comes, you’ll know.